Android Oreo was released by Google just a few days ago and it has so far received a great many numbers of positive reviews. While it does not bring many visual changes, there are a lot of under the hood changes that actually make the latest version of Android great. There is a new Auto-fill API, more organized settings app, instant apps and many other interesting and useful features. Today, we are bringing you the Android Oreo Google Dialer APK which can be installed on all Android devices. And the good news is, you don’t need root to install this app, yay! This is the latest version of the Google Dialer APK which has been extracted from the latest system images of Android Oreo 8.0 and have been modified to work on any Android device. It is also important to note that this Google Dialer comes with new floating bubble support! You do not need root permissions to install this app. Simply tap on the downloaded .apk file and install it as normal APK. Go to Settings > Apps. From the list, tap on your phone’s default phone app and disable the app if possible. Go to Settings > Apps > Default Apps. Click on ‘Phone App’ and choose the newly installed Google Dialer app. This will be shown as ‘Phone’. I can’t enable the floating bubbles option although i read the guide and followed all the steps. 1. What is your phone and current Android version? 2. Can you post a screenshot of ‘App Info’ of the Google Phone App? Go to Settings > Apps > Phone > Screenshot. Note: There will be two ‘Phone’ apps. One is system app and the other Google one. I need the Google one. Do you have ‘Draw over other apps’ and ‘Modify system settings’ permissions enabled? The permissions are not visible in the screenshots. 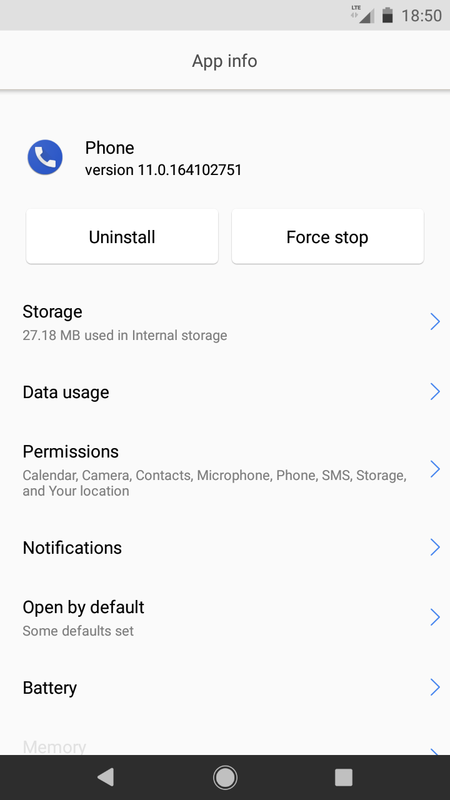 Can you post a screenshot of the permissions? Or simply make sure EVERY SINGLE PERMISSION is enabled? Does Places nearby feature works on this? I wan’t update app help!!! Can you elaborate on what kind of help you are looking for? I highly doubt if this will ever work as expected on a Huawei device. EMUI is a heavily customized version of Android and Stock apps like this doesn’t really play along nicely with it. Working good in my Redmi note 5 pro. But have only one issue of not showing recent call history in this app. Hi! I installed on Xiaomi Redmond 5 Plus. Call history and nearby places aren’t working. How do I fix this, please? Thank you. Will the new update come next? Does the update come in this application? Installed on galaxy s8+ and every time i start the app it says the device is not supported. Can you help? It says app not installed… I have downloaded an old version of google phone app apk. Do I need to uninstall it to get this new one to work?